In this issue of TechNation we asked experts to provide an update on anesthesia devices and technology. Participating in the roundtable are BayCare Health System Field Service Specialist-Anesthesia Glenn Cain, Mindray North America Strategic Marketing Manager Scot Carriker, SOMA Technology Director of Corporate Sales Ashish “Ash” Dhammam, Paragon Service President Thomas G. Green and Dräger Senior Director of Marketing North America Dave Karchner. Q: Are there new anesthesia technologies or features that call for the purchase of new equipment? Cain: Yes, there are new modes of ventilation on machines that make the anesthesia machine ventilator like the ventilators used in the ICU. The new technology machines have electronic gas mixers, electronic vaporizers, digital flow meters and software available that will allow users to save gas and agent by using lower gas flows and lowering vaporizer settings. Carriker: Anesthesia delivery is steadily evolving. Low-flow anesthesia and advanced ventilation modes are becoming more commonplace in most anesthesia systems. Any and all new purchases of anesthesia delivery devices should meet the clinical and administrative needs of today while ensuring scalability to meet potential future needs. Dhammam: It really depends on the current equipment fleet in use at the facility. Anesthesia machines need not be upgraded every time there is a new model available but if the existing machines are obsolete and absolutely no parts or support is available and/or they are missing specific ventilation modes it calls for the purchase of newer models. Karchner: Companies like Dräger continue to look for ways to enable our customers to maximize their operational efficiencies. Three areas that we are currently focusing on is the continued improvement of “minimal flow” anesthesia delivery, the development of lung recruitment strategies typically only found in ICU and the introduction of data analytics into our offerings. Q: What are the most important things to look for in an anesthesia equipment provider? Cain: Where is the machine manufactured? Where are repair and PM parts are stored in relation to your facility? What is the parts availability for critical service parts? Can parts ship overnight if needed? Most facilities do not have spare machines, so having to wait for parts to clear customs delays repairs and closes operating rooms. Does the machine come with a service manual? Having the service manual (book or CD) on hand when needed and not having to pay every year for an online service is very important. We need to look up part numbers and service procedures on a regular basis. Also, having software on a flash drive is much easier to load in machines. Does the company have a sales rep that visits the facility on a regular basis or does the rep only come around when a sale can be made? Does the company provide complete in service of the new technology on the equipment? Is there biomedical service training available? Is there a local service technician? Carriker: Several basic principles should be unquestioned when looking for a partner for anesthesia delivery equipment. The company and the equipment provided should be able to meet the specific needs of the individual and specific customer and the devices should generally be technology proof, allowing for updates to ensure the product is always clinically relevant. In addition, a stable and capable service organization should stand behind any and all products sold. This applies to direct service organizations and trained authorized third-party service providers as well as fully trained biomedical engineering departments. Dhammam: Systemwide compatibility, easy access to local support including (whenever possible) third-party support and immediate capital, as well as long-term costs are important factors to consider. Inputs and preference from the anesthesia group and anesthesia technicians should also be considered in the decision making process. Green: Check the refurbisher/service provider’s resume. Are they factory service trained on the device to be purchased/serviced? Do they perform field service to hospitals and surgery centers? Where do they obtain parts? Do they have adequate liability insurance? Will they provide local references? Karchner: Two items that that are always high on my list are the stability of the company as well as the provider’s research and development focus. New U.S. anesthesia providers have come and gone over the last 10 years and an anesthesia machine’s useful life is a long one. Spinoffs and consolidations are important areas to monitor for stability of your anesthesia vendor. Is anesthesia a core part of your provider’s DNA? If not, R&D may be focused in the provider’s other larger health care units (like radiology). A look into your provider’s last 10 years of anesthesia innovation can provide you a pretty good indication of what their next 10 years will look like. Q: Is it possible to keep up with the latest anesthesia equipment advances and improvements without buying brand new? Cain: Depending on the age of the anesthesia machine, software updates and if upgrades are possible. Additionally, most systems today are capable of integrating into the facility’s electronic medical record. However, researching the cost of upgrading versus purchasing a newer anesthesia system is highly recommended. You could spend top dollar to purchase new technology and capabilities for your anesthesia system and the expense could be close to the purchase price of the new, or newer, anesthesia machine. Carriker: It really depends on what pre-owned device is purchased. Many older devices are not upgradable. In those cases, it would be impossible for customers to upgrade devices to stay up to date with new technology advancements. If purchasing pre-owned equipment, the customer should do their due diligence and understand what their future clinical requirements may be and understand if their purchase will allow for upgrades in the future. In addition, equipment suppliers should always act in a consultative manner to ensure that their customers purchase the product that is the best fit for each individual customer. As an example, the Mindray A-Series Advantage platform offers scalable functionality that allows the customer to upgrade device capabilities as clinical needs evolve. Dhammam: Yes. Demo/refurbished equipment is a great alternative to buying new. You can save a lot of money and still avail the latest machines and features. Please ensure the equipment being purchased is from a reputable company with good warranty and supporting paperwork/documentation. Green: Yes. 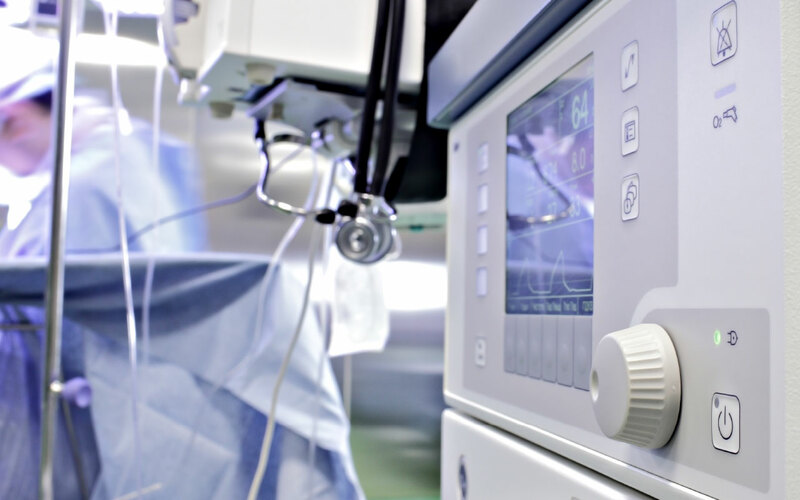 Most anesthesia equipment refurbishers have modern anesthesia equipment models in stock for a great alternative to purchasing new at a savings of 25-35 percent. Karchner: Absolutely! Today’s anesthesia devices are more software based then in the past. This enables providers to introduce new technologies and ventilation modes that previously would have required health care organizations to purchase a new machine. Q: How can HTM departments help promote the most efficient use of anesthesia equipment? Cain: By learning as much as possible about the machine, what it does and how it works. Learn and understand the different ventilator modes. Stay proficient with new software and technology that might be available for the machines. Carriker: Healthcare technology management departments can support efficient use of anesthesia equipment by researching products prior to purchase and then ensuring its proper maintenance post implementation. Not all devices are created equally. It is important the HTM departments have a thorough understanding of important items like maintenance schedules, required consumable replacement cycles and set-up/start-up times. With knowledge of a potential supplier’s offering, HTM departments can make a thoroughly informed decision that may significantly and positively impact anesthesia workflow. These benefits may be seen in reduced start up and room turnover times and, depending on the ventilator capability, may reduce induction and emergence times, ultimately improving workflow and throughput. Dhammam: If the equipment being purchased is new to the facility, please have the clinical staff properly trained, including basic troubleshooting of equipment for common failures. Most companies now provide online training/simulation, incorporating this as part of scheduled training is a relatively easy way to keep staff up to date. Karchner: HTM is doing it now! Roundtables like these where vendors can more openly communicate with your readers is a good way to get the conversations going. And it’s with this collaboration that we can work together to achieve our common goals. Q: What else do you think is important for biomeds to know about anesthesia equipment? Cain: Understand the importance of these machines to life support during surgery and spend as much time as possible learning about the operational verification tests of these machines when they are not in use. Learn and understand what the different vent modes look like on the display. Know what the machine looks like when it is working properly. Be able to set up and test the machine. Know how to change settings, vent modes, parameters and alarms. Learn how to do calibrations of oxygen and flow sensors. Carriker: Biomeds play an integral role is ensuring equipment functions as intended, and this is even more relevant when considering how important anesthesia delivery equipment is to patient safety and clinical outcomes. It is critical for biomeds to fully understand the components and time frames for replacement parts and to understand the product life cycle, so they can understand the useful life of the installed devices and influence the evaluation and purchasing cycle of new anesthesia equipment. Biomeds are an invaluable asset and their understanding of the product life cycle can have a positive impact on the financial position of the institution. Dhammam: Preventative maintenance and upkeep is necessary for all medical equipment, especially life-saving equipment like anesthesia machines. Parts and accessories are available through multiple third-party sources apart from OEM and this can help keep maintenance costs down in the long run. Green: Always check the reputation and background of each company, especially in these days of the Internet buying. How long have they been in the medical business? Does the company specialize in anesthesia equipment or just sell everything? What are the owner’s qualifications? Karchner: That we’re here to help! Dräger understands that your daily workload can vary from day-to-day, and week-to-week. We offer customizable service solutions to meet your needs.